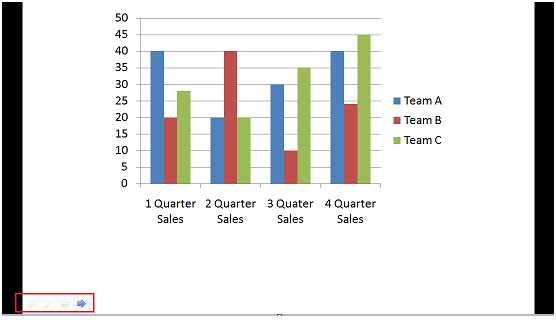 Once you create the presentation you can view it in different ways. Select the View tab. Locate the Presentation Views group. 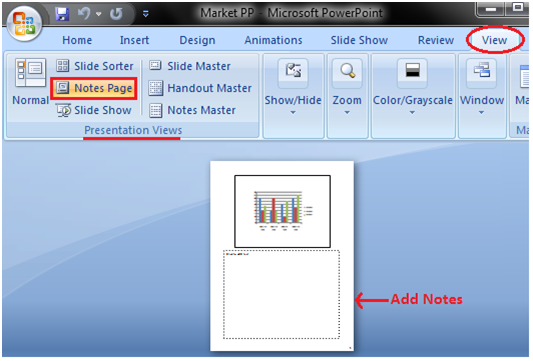 It displays four options to view presentations; Normal View, Slide Sorter View, Slide Show View and Notes Page View. Normal View: The normal view appears by default when we open the PowerPoint window. We create and edit slides in Normal View. This view also offers three view options out of four options in the form of buttons on the status bar. Slide Sorter View: It offers miniature or thumbnail version of all slides. You can see all your slides at one time in the screen. You can also drag or delete the slides to rearrange them. 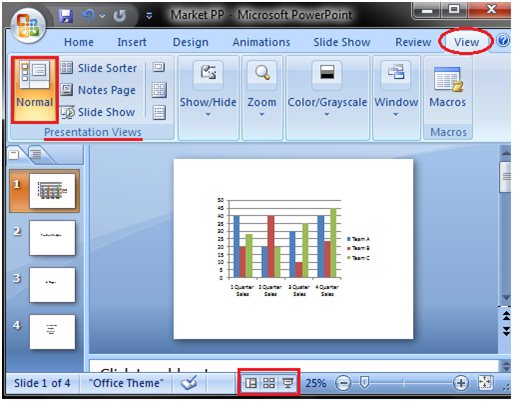 Slide Show View: It displays your presentation in full screen mode. It also offers an additional menu at the left bottom corner of the slide. This view provides space below the slide to add notes.